Oh Dooley your quilt is really lovely. Most definately worth all the hours of sewing you've put into it. Thank you sooo much for letting us see it as I've been looking forward to it with great anticipation and I'm certainly NOT disappointed!! It is so beautiful. Wow. I've been hoping to see pictures as I've been reading about your progress. 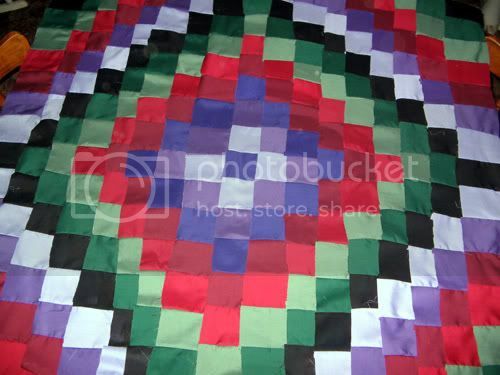 Your colors, and the progression of them thru the quilt, are wonderful. Great job! Oh gosh Dooley that is an absolutely marvelous Quilt.I think it is the prettiest I've ever seen.The colors are so outstanding.You have out done yourself this time girl. What a lot of work Dooley, that is going to be beautiful when finished.